I managed a couple of hours in the shop this afternoon. 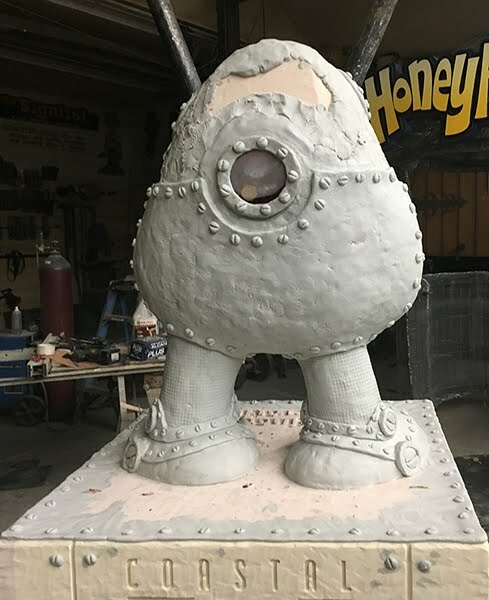 In that time I finished the bottom of the back of the robot. 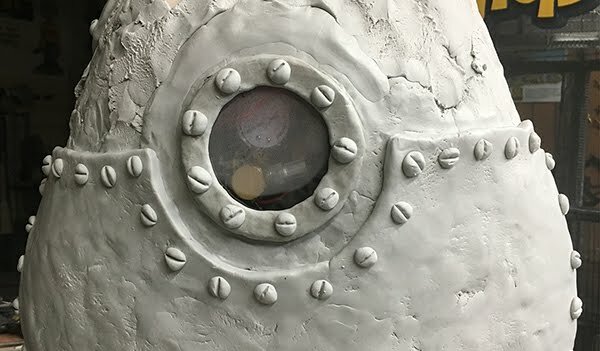 As an extra little feature I added a window hatch which some small details in side using short lengths of wire, a spare air pressure gauge and some bits of hose. The small viewing window fogged up as the fresh paint inside dried but it should clear up overnight. The detail will be a reward for the few who take the time to look at the back of the robot table. I'll also be adding an on/off switch above it as well - just for fun.